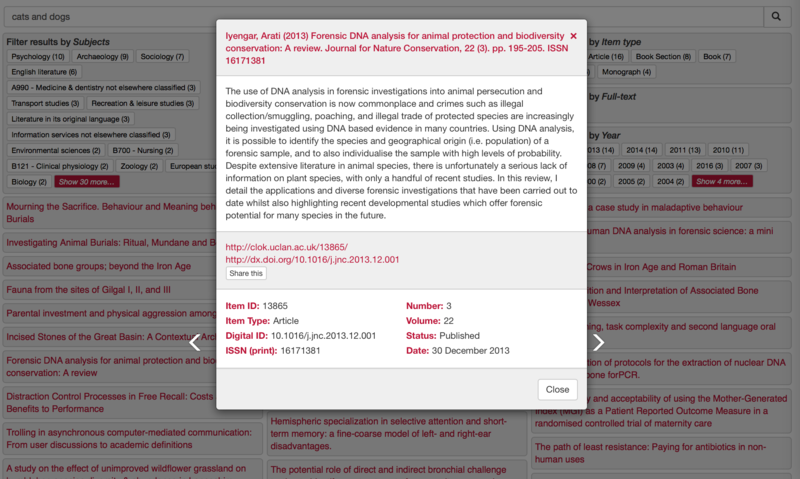 We are proud to announce a new alternative interface for browsing EPrints content. 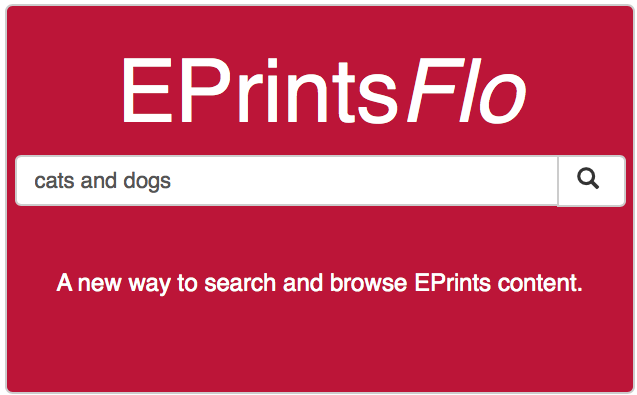 EPrintsFlo provides a modern responsive and flexible alternative way to search, browse and share the contents of your repository. Please take a look and feel free to ask questions and offer feedback. EPrintsFlo is exclusively available to hosted EPrints Services customers. 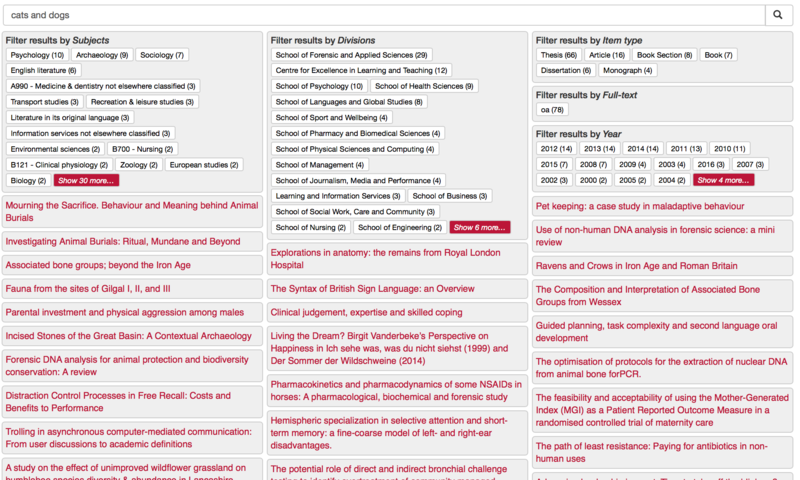 Search results page, with filters. Viewing an abstract, swipe left or right to see other results.